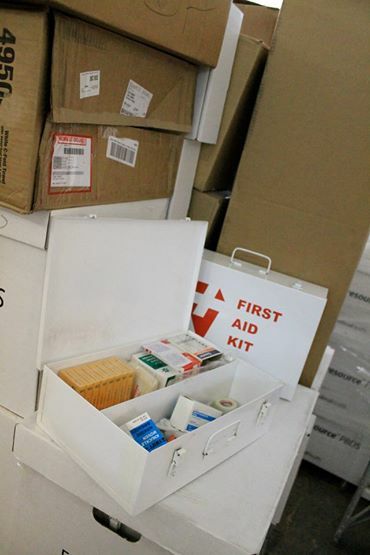 Thank you Bayer Pharmaceutical Company for donating around 150 first aid kits! 2 Comments to "Bayer Donates 150 First Aid Kits to VIDA Peru"
Can you use operating room tables, exam tables, small refrigerators, instrument sterilizers, metal OR utility tables, monitors? One dental type chair, one new gurney, two older operating tables, one exam table, one rolling cabinet (Hermann Miller), old but very good Pelton Crane autoclave-looks like its plugged into a 220 outlet, Bair OR table warmer, IV pole on wheels. Also have wall mounted Herman Miller OR cabinets, but I recall you could not easily use them. Could you please let me know if any of this will pass customs and is useful to you.